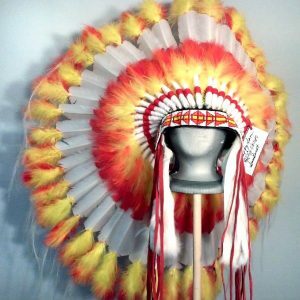 This is the GHOST DANCER War Bonnet. 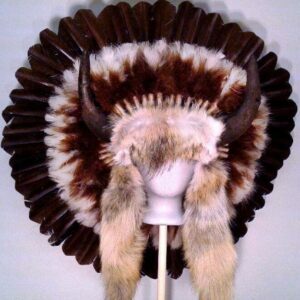 This bonnet features solid black main feathers tipped with off white or light beige feather fluffs. 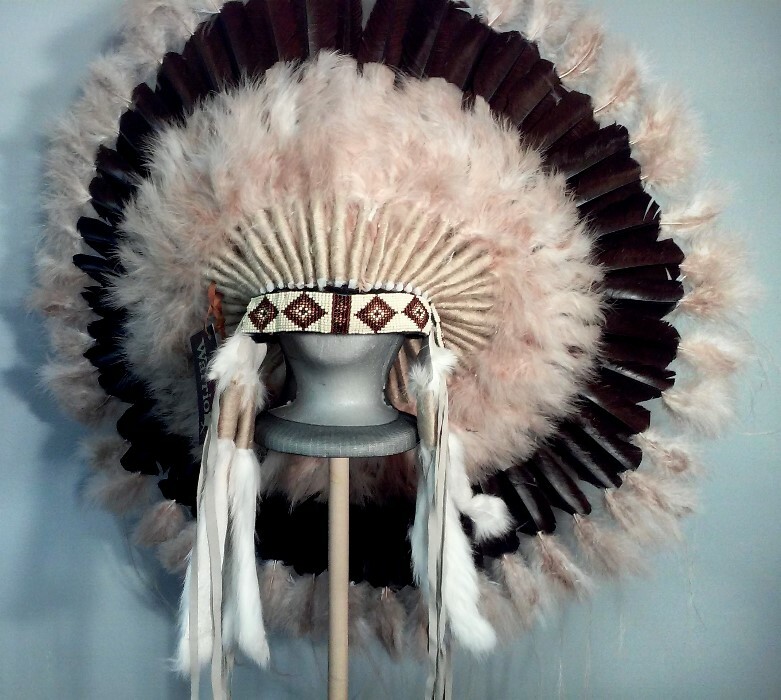 The main feather base is wrapped in beige wraps laying atop a thick bed of beige & light salmon colored fluffs. 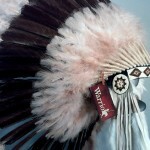 The beaded brow band & matching rosettes are hand beaded, not imported & may vary in design or color. Multiple strips of plush white rabbit fur are used on either side as drops also wrapped in the beige wraps. 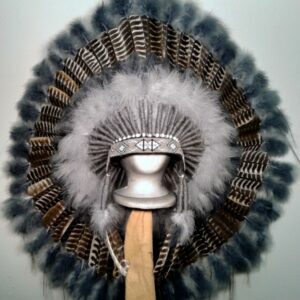 A single honor feather is placed in the center of the crown which is also covered in beige fluffs. 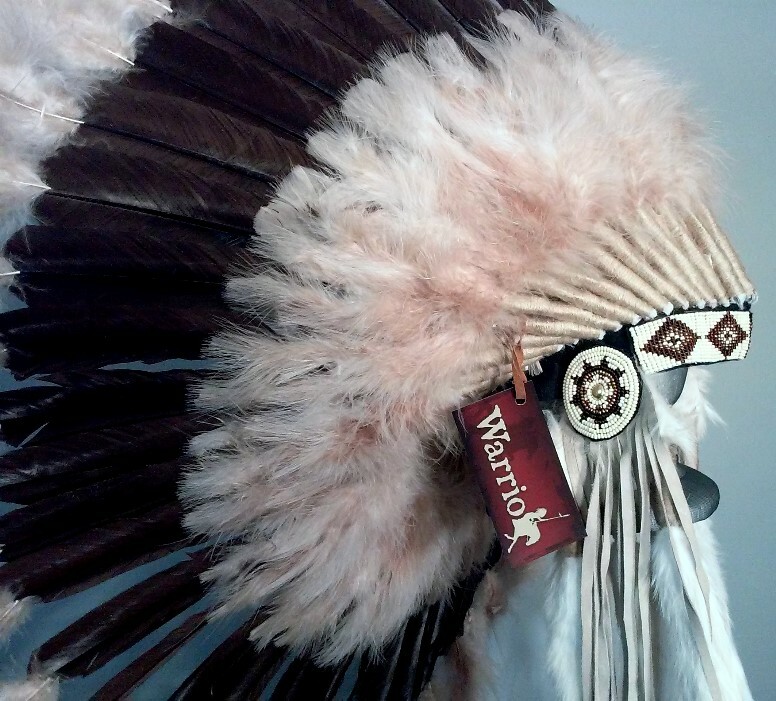 This is a regal headdress in which the pictures just don’t do it justice. 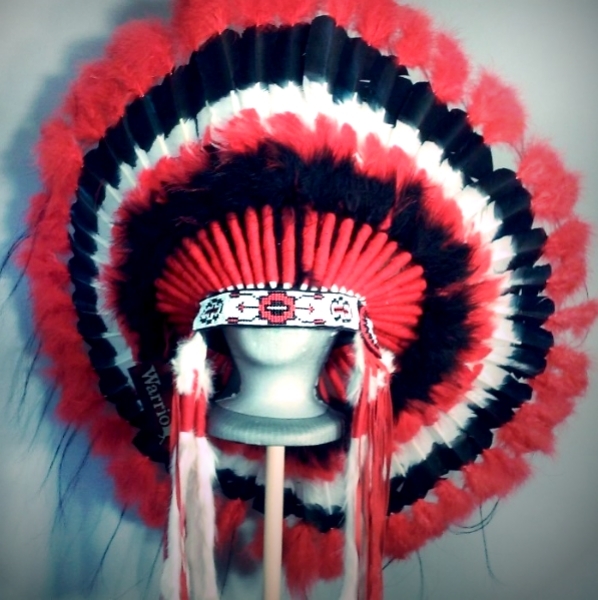 Display this bonnet with your collection or wear it with your regalia at your next powwow or event. One size fits all. ALSO AVAILABLE IN DOUBLE TRAILER OR FULL CIRCLE (RIDING) BONNETS.